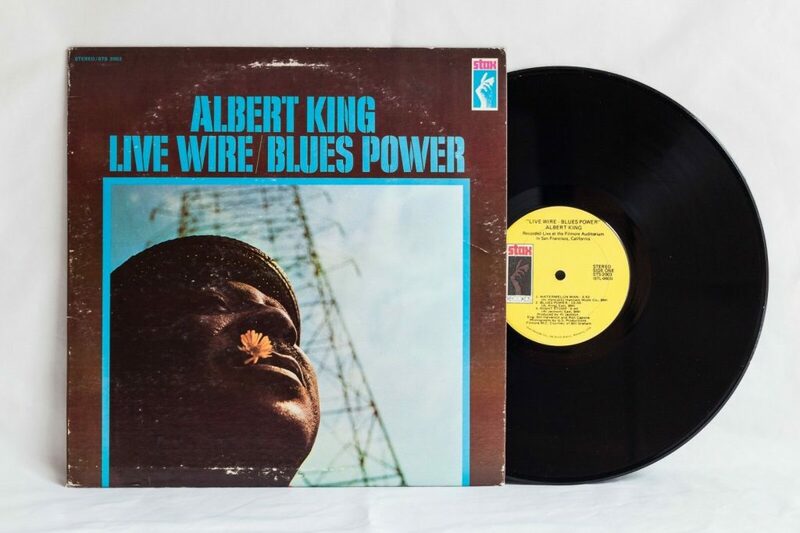 Check out these new and used Albert King vinyl records LPs for sale. Albert King was known as The Velvet Bulldozer because of his robust size and super smooth voice. Also, he used to drive a bulldozer as a job early in his career. King’s guitar playing has influenced many other blues guitarists. Start with his best known Album from 1967 titled Born Under a Bad Sign on the beloved Stax label, and we also recommend Years Gone By from 1969.